He7d3r awarded T26783: Section links on history and diff pages should be permalinks (with &oldid=) a Love token. Samwilson awarded T59500: Impossible to use https://www.mediawiki.org/wiki/Special:OAuth/initiate?format=&oauth_callback= style URL a Like token. Liuxinyu970226 awarded T46667: Review and merge chinese-collation branch into master, configure Chinese wikis to use it a Manufacturing Defect? token. Liuxinyu970226 awarded T26309: Some interface messages are broken if filter name contains template syntax a Pterodactyl token. Liuxinyu970226 awarded T37378: Support multiple collations at the same time a Like token. Liuxinyu970226 awarded T30397: Allow collation to be specified per category a Love token. liangent updated the task description for T136508: Grid job stuck at 't' state. liangent created T136508: Grid job stuck at 't' state. liangent added a comment to T136208: liangent-php is using 348G on Tools. mw-log is really activity log, for all activities in my php bot, which is actually $wgDebugLogFile. There was a time people asked me "why my bot is doing (something) in (some way)" and the situation was difficult to reproduce. The only use of those files (until now) is to answer those questions for people (and sometimes for myself). liangent renamed T134094: Http response content is sometimes broken when gzip is not set from action=raw output is sometimes broken when gzip is not set to Http response content is sometimes broken when gzip is not set. liangent updated subscribers of T134094: Http response content is sometimes broken when gzip is not set. liangent added a comment to T134094: Http response content is sometimes broken when gzip is not set. liangent created T134094: Http response content is sometimes broken when gzip is not set. • MarcoAurelio awarded T47064: Create block log entries on HideUser blocks a Dislike token. Dalba awarded T57459: Include "condition limit consumed" column in AbuseFilter list a Like token. liangent added a comment to T131061: `ZH 不转换"` shows in list of variants. Ahh thanks @liangent for clearing this up. What do you mean by regular UI? Vector? What code hides them? No it does not mean unchangeable. Technically ZH is just a variant, with an (almost) empty conversion table, 不转换 means unchanged. liangent added a comment to T126946: disk failure on labsdb1002. Thanks. It will not be a reimport but a move, so I'll have to take care of host names every time... There's no way to ensure reliability I think, unless you have prev.commonswiki.labsdb and prev2.commonswiki.labsdb etc. @liangent, user databases were lost and will not be able to be recovered. Any plan or progress on this? liangent created T127418: File redirect on Commons doesn't show "(redirected from X)" when viewed on local wikis. liangent created T127160: (diff) on Special:Undelete uses hard-coded parentheses. liangent closed T125318: Unexpected change tag addition as Invalid. liangent closed T125318: Unexpected change tag addition, a subtask of T125033: [DO NOT USE] Chinese Wikimedia projects (tracking) [superseded by #Chinese-Sites], as Invalid. liangent added a project to T126186: Flow formats timestamps in my local timezone (possibly identified from my browser) instead of the timezone in my wiki preferences: StructuredDiscussions. liangent created T126186: Flow formats timestamps in my local timezone (possibly identified from my browser) instead of the timezone in my wiki preferences. liangent added a comment to T87332: Using language conversion syntax in external links bypasses proper external link registration. liangent updated the task description for T125322: Change ParserFunctions license to GPL-2.0+. liangent created T125318: Unexpected change tag addition. liangent added a comment to T62862: Tool Labs: jsub starts multiple instances of tasks declared as "once". job ID 2176874 and job ID 2695870, but note that 2176874 was started a long time ago than 2695870.
liangent added a comment to T124793: Confusing rollback error message when a rollback doesn't cause a content change. For the record, I was clicking rollback on https://zh.wikipedia.org/w/index.php?title=%E4%B8%89%E6%9A%97%E5%88%BB&action=history for the revision at 2016-01-26T16:41:30‎. liangent updated the task description for T124793: Confusing rollback error message when a rollback doesn't cause a content change. liangent created T124793: Confusing rollback error message when a rollback doesn't cause a content change. liangent added a comment to T67857: Logging in using a temporary password is reported as "incorrect password". This is somewhat intentional, see T22233. I wouldn't be opposed to returning a distinct error code (e.g. "ResetPass"), but this should remain an error condition. liangent added a comment to T123901: Avoid use of the mixed ("main language code") variant, improve selector visibility. If it's only Hong Kong people who report this, I suspect they're actually using some English operating systems / browsers, considering English is another official language there (is there any Cantonese operating system?)... Obviously they will see mixed content if they don't configure their browsers which send Accept-Language: en by default. liangent created T123621: #mw-newentity-form1 sometimes has incorrect action attribute. liangent added a comment to T122942: RFC: Support language variants in the REST API. Copying my typescript here for now. I can't ensure that file will stay there longer than phabricator. liangent updated the task description for T122942: RFC: Support language variants in the REST API. liangent added a comment to T119687: [Spike] Investigate how Chinese writing variants are stored. FYI, the hardcoded conversion table is includes/ZhConversion.php which may help determine the language variant of arbitrary text. liangent added a comment to T113002: Let's discuss LanguageConverter. Just a note, Language Converter in MediaWiki is not merely a representative transformation; it's hooked into many MediaWiki components, a bit deeper than what CX reaches currently (most importantly, link resolution). liangent added a comment to T121742: Set up replica from extension1 cluster. I see Echo, CX and Flow there. Since I'm mostly working on content, hitting other items seems not so likely as they're more about user activities. However it's difficult for me to "predict" their behavior and new extensions will come from time to time. Yes I'm hitting Flow content right now ... but since I'm using extensions "randomly" and I only look at their public interfaces I'm using, I'm not sure if they also try to talk to extension1 from other places. @liangent which specific data (columns) do you need? I do not think it is possible to replicate everything, but for a specific column(s) it could be studied. Please note that this requires: the developers review, the ok from legal and the actual technical setup, so it may take some time. liangent created T121742: Set up replica from extension1 cluster. Restricted Application updated subscribers of T106393: git clone operations/mediawiki-config on tool labs fail: recursion detected in die_errno handler. matej_suchanek awarded T26309: Some interface messages are broken if filter name contains template syntax a The World Burns token. liangent added a comment to T115175: Parentheses around message "flow-post-action-hide-post" are hard-coded . I haven't looked into the code but this type of bugs usually just need a wfMessage( 'parentheses' ) call in appropriate place. In this case it's easy and I'm tagging it easy for GCI. liangent added a project to T115175: Parentheses around message "flow-post-action-hide-post" are hard-coded : good first bug. 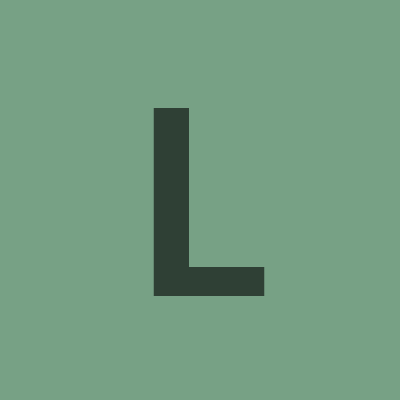 liangent added a comment to T47064: Create block log entries on HideUser blocks. No time to work on it right now but I guess it might be easy for a GCI task? liangent edited projects for T47064: Create block log entries on HideUser blocks, added: good first bug; removed Patch-For-Review. liangent created T119680: Rounding and missing units in VMEM values on http://tools.wmflabs.org/?status create misleading values. liangent updated the task description for T115266: Selecting Chinese (either variant) from the "Other languages" menu in non-main namespace pages gives wrong names and leads to an error page. liangent added a comment to T115266: Selecting Chinese (either variant) from the "Other languages" menu in non-main namespace pages gives wrong names and leads to an error page. @liangent Can you provide a specific example of a page where this happens? liangent added a project to T115555: jquery.highlightText is not handling languages which don't use spaces as word separator well: MediaWiki-ResourceLoader. liangent created T115555: jquery.highlightText is not handling languages which don't use spaces as word separator well. liangent created T115266: Selecting Chinese (either variant) from the "Other languages" menu in non-main namespace pages gives wrong names and leads to an error page. liangent closed T115239: Expose wb_items_per_site table on replicated database on Tool Lab as Invalid. Wrong database used I guess; sorry. liangent created T115239: Expose wb_items_per_site table on replicated database on Tool Lab. liangent created T115175: Parentheses around message "flow-post-action-hide-post" are hard-coded . Restricted Application added a project to T56164: Expose revision.rev_content_format on replicated wikidatawiki: Cloud-Services. Shizhao awarded T46667: Review and merge chinese-collation branch into master, configure Chinese wikis to use it a Manufacturing Defect? token. liangent created T114389: Special:Nearby replaces the list with text "Loading..." when an item is mid-clicked on desktop (= open in a new tab). liangent committed rMW63811f0b1424: Drop zh-tw message "saveprefs" (authored by liangent). liangent renamed T112837: Editing [[zh:User:Liangent/zh-tw.json]] throws Fatal exception of type MWException and the page itself appears blank from Editing [[zh:User:Liangent/zh-tw.json]] throws Fatal exception of type MWException to Editing [[zh:User:Liangent/zh-tw.json]] throws Fatal exception of type MWException and the page itself appears blank. liangent created T112837: Editing [[zh:User:Liangent/zh-tw.json]] throws Fatal exception of type MWException and the page itself appears blank. liangent added a comment to T85984: Uninstall UserDailyContribs extension from Wikimedia wikis. I have http://tools.wmflabs.org/liangent-django/recent_contribs/ but I'm not sure whether any person is using it. Steinsplitter awarded T43693: Support short-circuit bool ops a Orange Medal token. liangent updated the task description for T105897: Moving User:*/*.js to User:*/* (without .js) makes the page uneditable (MWException on edit). liangent added a project to T105897: Moving User:*/*.js to User:*/* (without .js) makes the page uneditable (MWException on edit): MediaWiki-ContentHandler. liangent created T105897: Moving User:*/*.js to User:*/* (without .js) makes the page uneditable (MWException on edit). liangent committed rMRELa86019d2d31b: Add new variable article_first_contributor (authored by liangent). liangent committed rMREL8be81448bdbc: New variable: new_pst which provides a PSTed version of new_wikitext (authored by liangent). Gerrit Code Review <gerrit@wikimedia.org> committed rMREL15396616b692: Add trailing newlines to wikitext before sending for diff (authored by liangent). liangent committed rMREL1b7994b3bd1b: Use a new message for subtitle of edit view when creating filter (authored by liangent). liangent committed rMRELff4f28339f49: Users able to view private logs should be able to search for them. (authored by liangent). Users able to view private logs should be able to search for them. liangent committed rMREL310ed928243c: Add new user right: abusefilter-log-private (authored by liangent). liangent committed rMREL7ec9201ead8d: Add token to the example of ApiAbuseFilterUnblockAutopromote. (authored by liangent). Add token to the example of ApiAbuseFilterUnblockAutopromote. liangent committed rMREL82856ee05036: The message "abusefilter-tools-subtitle" is not there. (authored by liangent). The message "abusefilter-tools-subtitle" is not there. liangent committed rMREL5c982813ca81: Add documentation for message "abusefilter-edit-builder-funcs-rescape" (authored by liangent). Add documentation for message "abusefilter-edit-builder-funcs-rescape"
liangent committed rMREL2a2e1d5b06ee: Add message for function "rescape" (authored by liangent). Add message for function "rescape"
liangent committed rMRELc57628963571: Followup r100969: There may be Mac newlines as well. (authored by liangent). Followup r100969: There may be Mac newlines as well. liangent committed rMREL44f71ac0b773: Normalize newline before exploding by "\n" (authored by liangent). Normalize newline before exploding by "\n"
liangent committed rMREL8ac1b4c619bf: Newline to <br> replacement should take place after escaping (authored by liangent). liangent added a comment to T104871: Mails from tools are being marked as 'spam' by gmail. liangent created T103941: Beta features don't work without visiting "Beta" page first?. liangent updated the task description for T103268: Recover files for project liangent-php. liangent created T103268: Recover files for project liangent-php. Dalba awarded T43693: Support short-circuit bool ops a Yellow Medal token. liangent committed rMWca38682dda73: LanguageConverter fix of empty and numeric strings (authored by liangent). liangent added a comment to T87645: Existing pages without ability to reach and obviously wrong namespace. liangent added a comment to T98286: [Task] Deploy usage tracking and arbitrary access to zhwiki. Although I said that I was looking forward to it and there would be good use cases on zhwiki, I don't have time to work on it right now. Since it's mentioned in the announcement that it will be available globally at some time in June, I guess I can just wait for it. liangent created T98386: Request for +2 for liangent in core for language converter. liangent created T97639: Unexpected $1 is shown in error messages of ActivateDeactivateForm on Special:Tags. liangent committed rMW18e70e9705c0: Improve Makefile.py for zhtable (authored by liangent). liangent created T96359: "Read more" block should not overlap with page content.